PDF FILES ARE 130MB EACH!!! Congrats for the proyect !!!! What is the password to open the file?? qual tipo de folha vc usou, para imprimir? A4 ou A3, e as armas dela pode ser removivel? what kind of vc sheet used to print? A4 or A3, and the weapons it can be removable? I used 200gsm A4 paper, You don't have to build any of the weapons, you can build her without any but the hands would look odd. 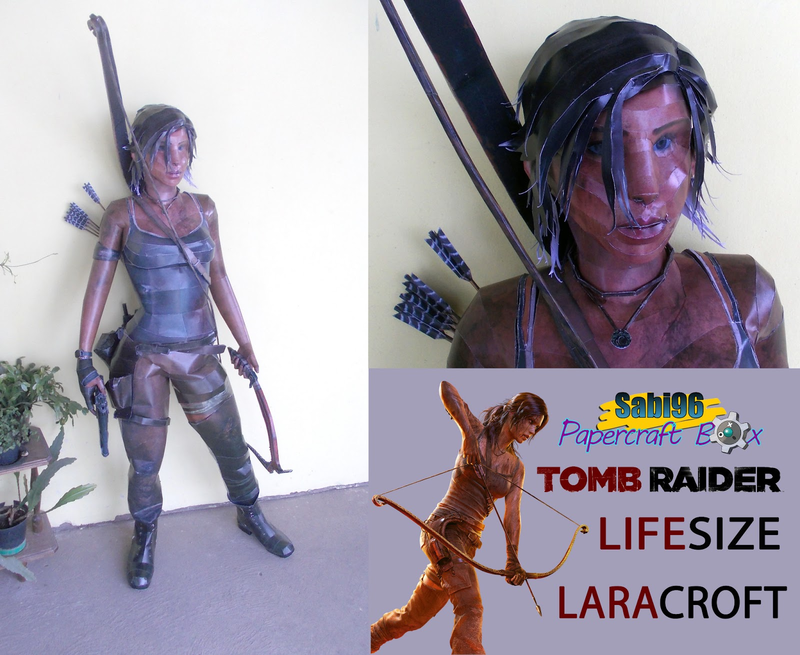 Thank you, you helped me a lot, and I wanted to know if she is going very tall, and I'll do all the weapons, and I can make the line bow with true line, and what kind of pillar that I can use and how I can put inside lara, for her stand? Just make little boxes out of paper and stuff them inside her legs, start with bigger ones at the top, and finish with little ones near the boots.